Answering the call for more diverse voices in film criticism and gender equity in Hollywood, Chaz Ebert announces that RogerEbert.com is gender balancing its regular rotation of film critics. Nell Minow, Monica Castillo and Tomris Laffly join Sheila O’Malley and Christy Lemire to round out the website’s roster of female critics to achieve a fifty-fifty split of five women and five men. The site also will publish more frequent contributions by diverse critics, including Castillo and Odie Henderson, who bring valued perspectives from their Cuban- and African-American roots. Minow has also been appointed the website's first female assistant editor. 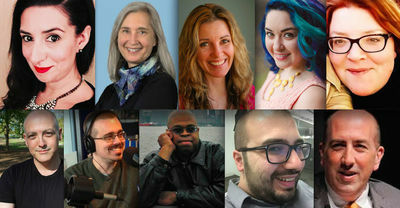 For the first time since Women Writer's Week, RogerEbert.com will have reviews and articles by five women critics in its Friday line-up. Ebert will assume the role of editor-in-chief of the premier film criticism site she co-founded with her late husband, beloved film critic Roger Ebert, in 2002. Brian Tallerico, managing editor, will continue to handle day-to-day operations, and Matt Zoller Seitz remains editor-at-large. They will also lead the male critics who will write regular film reviews. Tallerico and Zoller Seitz will be joined by critics Odie Henderson, Simon Abrams and Glenn Kenny. The site will also continue to spotlight other new and returning voices on its non-review content. Ebert has championed the cause by cultivating experiences for young talent. Last year, three African-American males were selected for the distinguished Roger Ebert Fellowship at the Sundance Institute. A year earlier, Ebert chose four young women from diverse backgrounds. She has partnered with civic groups; film festivals, and colleges and universities to provide mentorship and published reviews from diverse students on the website.